We run a range of clinics. For an appointment or further details, please call the Main Surgery on 0114 2697505, Branch Surgery 0114 2889777. We hold 2 to 3 Flu clinics each year between the months of September and December. The midwife runs this clinic. If you become pregnant you will be given a booked appointment within one week. The midwife will ask you a few questions and carry out some general health checks. You will be seen regularly throughout your pregnancy either at the practice or at the local hospital, or both. All new babies are invited for regular check-ups from eight weeks. Please discuss this with your doctor who will then arrange for you to be given an appointment. This clinic offers follow up and management of diabetes to enable patients to achieve optimum diabetic control. We like to see all our diabetic patients every six months. Patients with asthma are invited to an annual assessment to discuss treatment options and asthma management. Asthma sufferers can make an appointment with the Practice Nurse who specialises in asthma care. This service is offered five days per week by our practice nurse. Community Family Planning clinics are available for late evening appointments - Central Health Clinic at Mulberry Street, Sheffield 1, Tel No. 0114 2716790. Patients with COPD are invited to periodic assessments to review symptoms. COPD patients can make an appointment with the Practice Nurse who specialises in COPD care. We offer one to one smoking cessation help and advice run by the Healthcare Assistant at the surgery. Please contact reception for further details. Please note that some vaccinations incur a cost for the patient for us giving the vaccination. This includes the Meningococcal ACWY vaccine for patients who require the vaccination for travel purposes, which costs £50.00 (for the vaccination and certificate). If you require any further details please speak with one of our receptionists. If you are just joining us you will be invited for a new patient check. This is an appointment with the Health Care Assistant to take some details of your medical history and check your height, weight, blood pressure and urine. This is important because at first we will not have your medical records. As part of our care programme, we would like any patient aged 45 and over, who has not been seen within the last 3 years, to attend for a blood pressure check with a trained Health Care Worker. In order to maintain confidentiality, laboratory test results will only be given to the patients themselves or to the parents / guardians of minors. 5.00 p.m. The reception staff are not qualified to interpret results and will only tell you what they have been authorised to tell you by the doctor. They will be happy to make an appointment for you to see the doctor/nurse to discuss your results further. Please note that no blood results will be given over the telephone by reception staff. 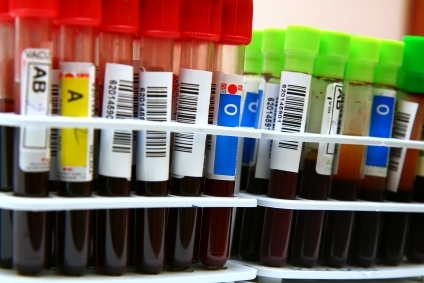 The GP or nurse will contact any patients whose blood test results are abnormal within two weeks of the test. If a GP or another member of our health care team believes you need hospital treatment or specialist care elsewhere, they will ask you where you would like to go. If you prefer to have some time to think before deciding where to have treatment, you will be offered the option of calling the medical secretary who will arrange your referral. Certain services such as HGV and PSV medicals, completion of Insurance claim forms, holiday cancellation forms, etc. are not covered by the National Health Service. You will be charged a fee for these. A list of current charges are listed below. These are in line with the British Medical Association guidelines.